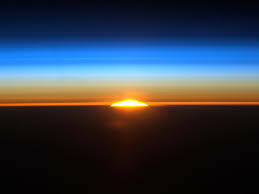 The dawning of a new day is always an opportunity to see things in a new light. How blessed we are to have this miracle happen every morning! On this particular morning, I dropped my car off to get detailed from all the muck the winter had layered on it. As I was walking home, I noticed that the sidewalks were covered with lots of debris and garbage. It was not a pretty sight. Then I shifted my thinking to how beautiful it will look when it is all cleaned up and wild flowers are growing here. This is what I choose to hold near, dear and right here. If we get a group of volunteers to clean up the area, it can and will look beautiful. Isn’t that how Jesus envisioned how things to be. Not the illusion of what it looks like but what the truth is. The truth is, there is beauty all around us, if we choose to see it, and believe it. The truth is we are pure love. The truth is we are in good health, always. When we focus on the goodness, we will see goodness. The dawning of a new day comes every morning. Hold the truth, near, dear and right here. This entry was posted on Tuesday, March 18th, 2014 at 1:36 pm and is filed under Art of Thinking. You can follow any responses to this entry through the RSS 2.0 feed. You can leave a response, or trackback from your own site.